Alberta's leader gave tepid support to Justin Trudeau’s plan to restart the approval process for the Trans Mountain pipeline expansion after a recent court setback. “The regulatory timeline laid out today is actually reasonable and is in line with what we knew was the best-case scenario,” Alberta Premier Rachel Notley said Friday at a press conference in Edmonton, referring to the 22 weeks the National Energy Board will have to re-examine the project. Notley said her government would have preferred legislation to address loopholes in the NEB process. She’ll also be watching to see how the federal government approaches the additional consultation with indigenous communities that the court asked for in its ruling last month. 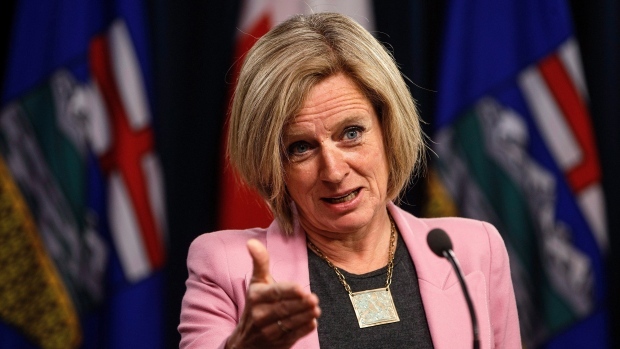 “We are going to hold their feet to the fire to make sure they meet that deadline,” Notley said. The Trudeau government’s deal to purchase the project from Kinder Morgan Canada Ltd. for C$4.5 billion ($3.5 billion) closed last month.